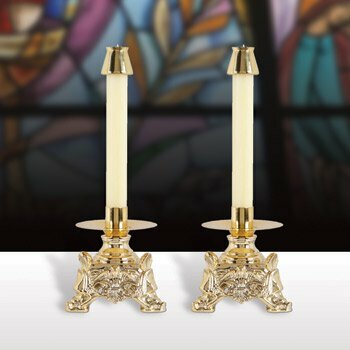 An extremely unique twist on your traditional altar candlestick from Sudbury Brass™. This has a durable moulded base with a metal socket and bobeche. 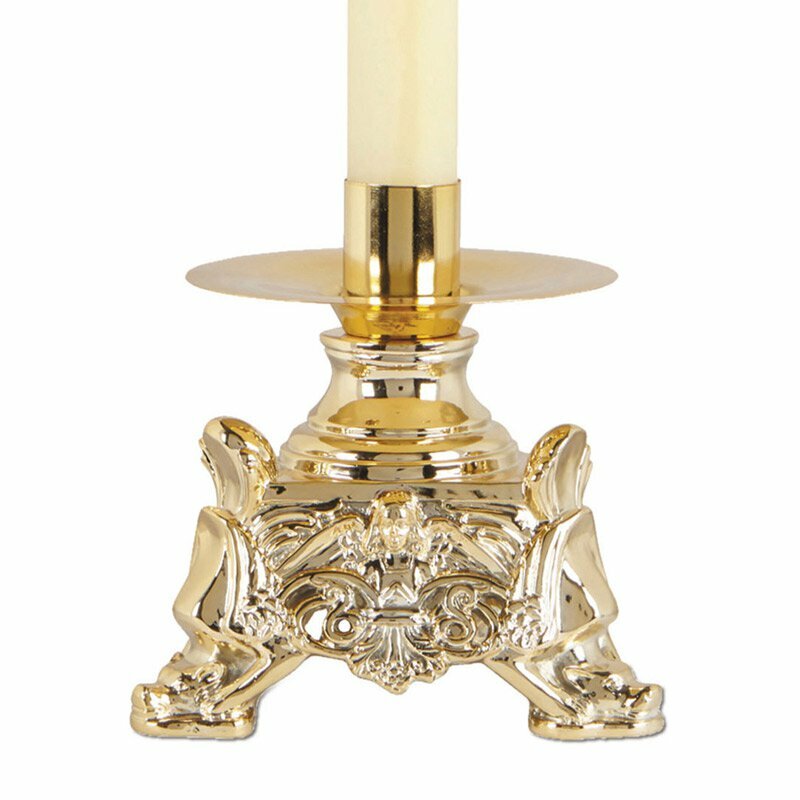 Electroplated to mimic a high polished brass finish.